We all know what a piece of “hot technology” is — the latest and greatest phone, a video game system that seems to be sold out in stores, a top-of-the-line camera, etc. On the other extreme, “crap technology” is impulse buys at truck stops, things that resemble something you want but lack all the engineering, durability and features of the desired item it resembles. These are tablets from companies you’ve never heard of, keyfinding widgets, sunglasses with embedded cameras, and other stocking stuffers that you will promptly lose. have promise, but reaching that promise requires a lot of work. 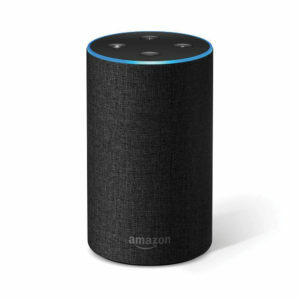 Thankfully, all recipients of smart speakers are happy just to have streaming music. Should they find a free weekend, they might dip their toe in the rest. This means, if a smart speaker is received without enthusiasm, just know that it won’t be remembered as a great gift. on the room size. Of course, any smart speaker can be linked with a stereo system but only through analog means. Finally, a big downside is that the Echo can’t be used as a speakerphone. At $100, it’s still a decent investment, and the recipient will immediately recognize the device when unwrapped.